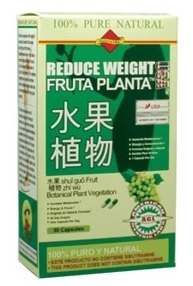 Most of our customers have switched to FRUTA PLANTA USA. Try it Today! The #1 Appetite Supressing Fat Burner Available! Lishou Slimming Capsules are the latest appetite suppressing chinese diet pills to take the market by storm. This 30 day supply can help you eat less while burning maximum calories and fat. You will feel the appetite supressing effects of Lishou Slimming Capsules immediately. Within 24 hours of starting your Lishou Diet Plan, you will feel fuller, less hungry, and more satisfied. Say goodbye to those belly-busting late-night cravings. Lishou Slimming Capsules help you curb those late-night binges while watching TV on the sofa. Now you can skip dessert without even thinking twice. How Doe Lishou Slimming Capsules Work? Lishou Slimming Capsules are all-natural. Lishou contains a synergistic blend of 3 all-natural fat-burning and appetite supressing ingredients: Tuckahoe, Lotus, and Bitter Orange. This precise blend of herbal ingredients work together to form the ultimate appetite supressant and fat burner. I purchased in this website the "Lishou Pills" for weight loss and they work really well. They don't make me dizzy and I didn't have any side effects. Much better and less threatening than sibutramina. The product arrived really fast. Good job overall. Only complain is that instructions don't come in English. You wont feel hungry at all. I lost 3 pounds my first day. I cant wait to I finish the entire box. When I first started taking Lishou I thought that it wouldn't work. But now I see the weight is defintely coming of and I went down a couple pants size. I have recommended Lishou to family members and they love.